The number of young people infected with HIV in Ghana has increased from 1.1 percent in 2016 to 1.5 percent in 2017, the Ghana AIDS Commission (GAC) has announced. The Commission further revealed that the reported number of HIV infections has also risen from 16,000 to 19,101 within the same period. This was disclosed at the launch of the World AIDS Day activities in Accra under the theme: ‘Know Your Status’. 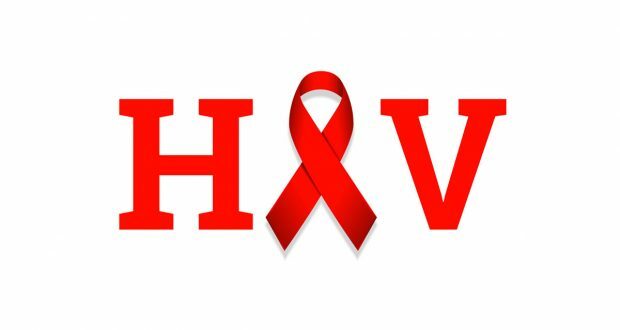 The Acting Director General of GAC, Kyeremeh Atuahene, said a series of activities have been put in place to mark the World AIDS Day on December 1 at Ho in the Volta Region. He added that it is the primary responsibility of every individual to know his or her status and encourage others to do same, adding that the nation’s sub-theme for the celebration is ‘Test, Treat To Suppress and Stop New HIV Infections’. He continued that the National HIV & AIDS Strategic Plan (2016-2020) seeks to reduce new HIV infections and reiterated that the ‘Know Your Status’ campaign seeks to identify infected persons who do not know their status and yet have the potential to fuel new infections unawares, thus, getting people to know their status would go a long way to attain the set targets. In a key note address by the Minister for Sanitation & Water Resources, Cecilia Abena Dapaah, she stated her passion of safeguarding the rights and interest of vulnerable groups and the fact that the celebration is about friends, family and fellow citizens living with HIV. Mrs. Dapaah further mentioned that as part of the government’s response to the epidemic, it would pursue the ‘Treat-all Policy’ which is in accordance with the WHO guidelines which admonish every Ghanaian who tests positive for HIV is eligible for treatment without reference to the person’s CD4 count. She called on communities, individuals, NGOs and private entities to join in the fight against HIV and for employers to adopt various HIV programmes for their staff and families. The minister also appealed to the media, religious bodies and influential persons to utilise their platforms to create awareness and mobilise support for the national HIV response. The Vice President of the Ghana Journalists’ Association (GJA), Mrs. Linda Asante Agyei, in her speech identified the many challenges the media encounters as a matter of acquiring the level of knowledge in reaching the goal to fight against the epidemic and emphasized the use of the media to propagate the message of HIV and its eradication and advised the various parties involved in engaging and empowering the media through education and moving from media house to media house to get them tested and getting them involved.